A crime lab analyst is a professional who helps to solve crimes and aids in the analysis of evidence. Some of these professionals work in the field. Others work solely in the crime lab providing answers to the questions of police officers and other investigative teams. These professionals have a passion for science and a comprehensive understanding of criminology. There is no doubt that this career field is very much in need, but it is an ever-changing field, where the science and technology used continues to improve. Having the right amount and even ongoing education is critical. What Is The Job of a Crime Lab Analyst? The job duties of these professionals can change on a daily basis. Their job is to gather evidence and then use scientific methods to understand and identify that evidence. This ultimately depends on their understanding of science as well as human behavior. Some professionals also extend their job to include field work. In this case, they will visit the scene of a crime, gather evidence, which may include blood, hair, fingerprints, or particles, and then bring that evidence back to the lab for full analyzing. Their job in this case is to identify items that may be related to the incident and to use it to better understand what occurred at the scene. 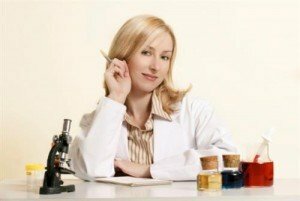 Why Work to Become a Crime Lab Analyst? There are many reasons to work in this field. The field itself is very rewarding since individuals play an intricate role in solving crimes that develop in the community. This can be rewarding as well as very important to the security of the community. Additionally, there is a demand for individuals in this field. According to the Department of Labor, Bureau of Labor Statistics, for the period from 2010 through 2020 a 19 percent increase in the number of jobs available to these professionals is likely to occur. More than 13,000 people worked in this position in the United States in 2010. Chemistry - The sciences used in this field are extensive. Individuals will need to have advanced chemistry skills to perform experiments. Biology - A strong understanding of the body and the science of it is critical. Computers and Technology – This is an area that continues to grow and change due to the development of new products and tools to solving crimes. Law - Many students pursue criminology, law, and government-related positions. Some also obtain a public safety and security degree. It is often possible for individuals to continue their education in this field. In some cases, ongoing education is a requirement. It is possible to obtain this level of education through online education, too. This can make it easier to obtain a bachelor’s degree as well as to continue that education to a master’s degree and beyond. Most individuals who work in management level positions in this field will have at least a master’s degree in the field. Becoming a crime lab analyst is a critical step in playing a role in the safety of the community. For many men and women, it is one of the most important jobs they can do because it serves the community and is science-focused.